Little Ozzy as seen on NBC now booking dates for 2014 Tour! Call now! LITTLE OZZY- The Ultimate Ozzy Osbourne Experience. Little Ozzy performs the most accurate and captivating Ozzy/Black Sabbath live show next to the real thing. There is no better. Why Little, Ozzy? The singer is 4ft 8 inches tall ! Little Ozzy is so much more than just being a tribute band playing a few songs by the original artists. The entire band are so professional and skilled that it is impossible in your mind to not be hurled back in time through a musical journey as if you were really there. Little Ozzy embodies his idol in such a way it will leave you with an eerie feeling that you were in his presence.This self proclaimed “Pint Sized Prince of Darkness is serious in spirit, talent and authenticity. Credentials : Little Ozzy was sought out by Americas Got Talent Scouts to Sing to Sharon Osbourne on NBC, He will be appearing on a ..Prime Time TV series this spring on TV ! The band has headlined several House Of Blues throughout the US, The Fillmore, Little Ozzy has entertained Def Leppard and Journeys private end of tour party, has shared the stage with Queensryche,Tesla, Foreigner, Jackyl, Kix, Peter Frampton he has been featured in The Horse Magazine and has appeared in Rolling Stone, E Hollywood, TV Guide and Revolver Mag. The show package includes 2 hours of Ozzy Osbourne and Black Sabbath songs. A state of the art arena sound system a complete gigantic light show complete with a dazzling laser show, stage props and all of the Ozzy’ MAD Stage Antics, available in PG rating also so the entire family can enjoy at festivals and all ages shows. Little Ozzy as seen on NBC now booking for 2014 HALF PINT of blood tour! Little Ozzy as seen on NBC now booking dates for 2014 Half Pint Of Blood Tour! Little Ozzy as seen on NBC now booking 2014 HALF PINT tour! 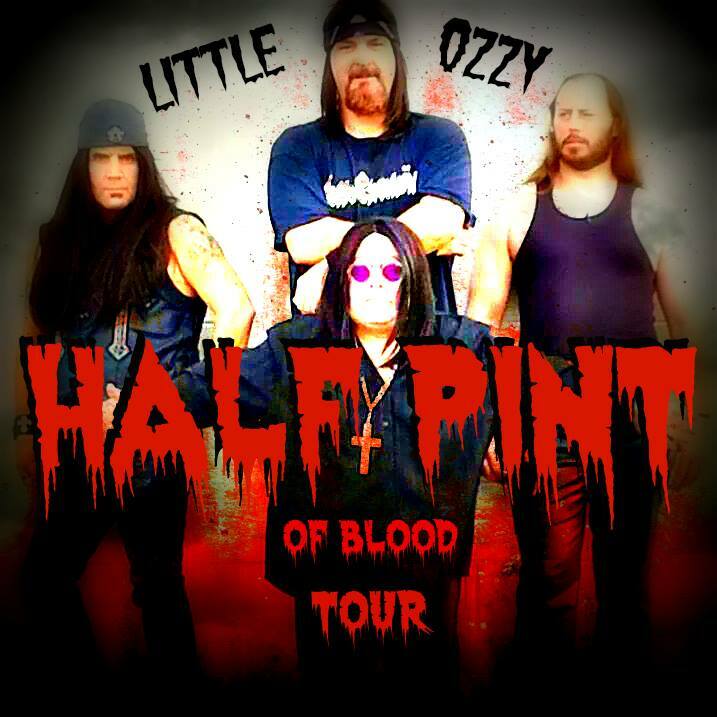 Little Ozzy now booking for 2014 HALF PINT of blood tour!